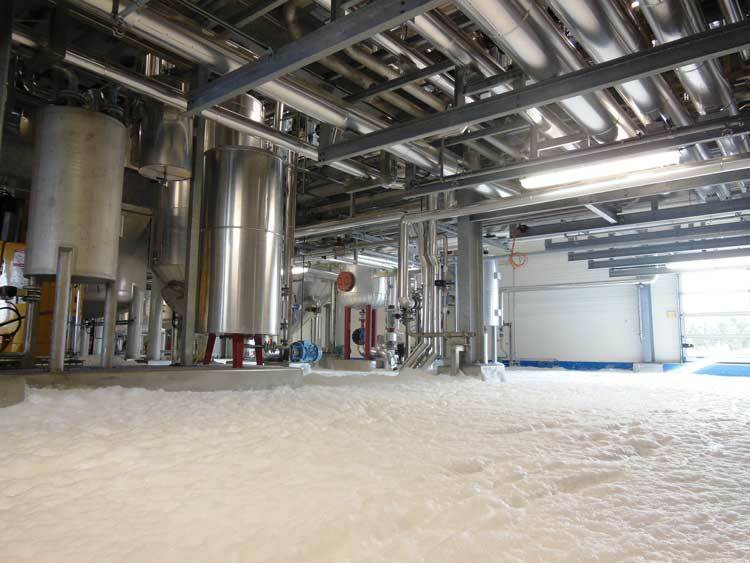 Projecting foam over the surface of a liquid has the effect of creating an insulating screen between the surface of the liquid and the ignited vapours. 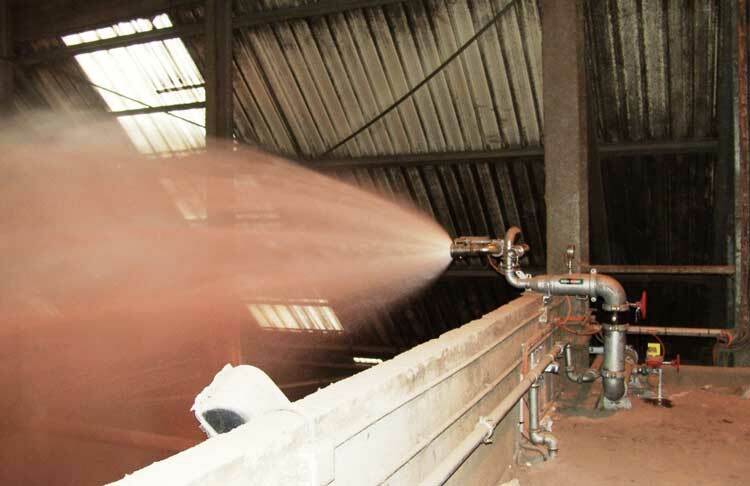 Foam is formed by mixing foam concentrate (or foam solution) with water. The expansion rate of a foam is the ratio of the volume of foam to the volume of the initial solution. 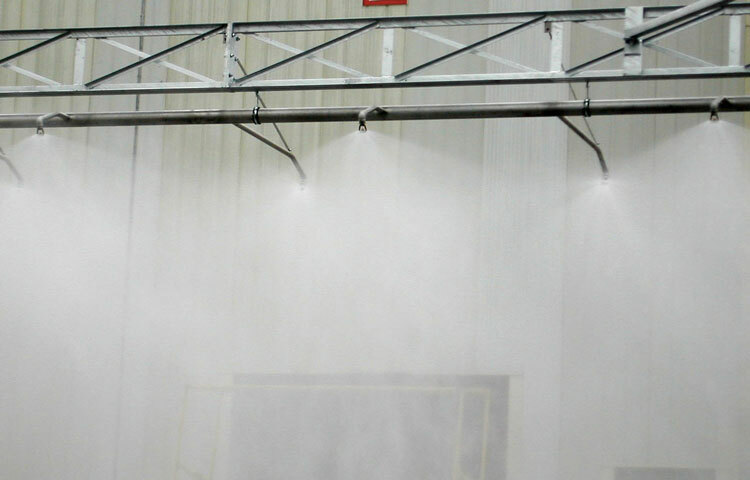 High expansion: plant protection product warehouses. 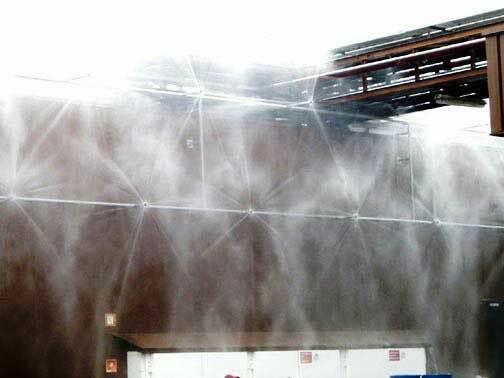 Water curtains are a specific type of deluge system: flat-jet spray heads (drenchers, fantails) create a “wall” of water, forming a true insulating heat shield. They are used where a fire wall cannot be built to physically separate two parts of a site. Separation between a flammable liquid storage area and tanker unloading area. Deluge-type systems are sprinkler installations (with water supply, valve, piping, etc.) equipped with specific open heads (without fusible elements). This type of installation is controlled manually and/or by an external detection system (flame detection, pilot sprinkler system). Automatic oscillating monitor, remote joystick control, etc. Head with variable output and jet, long-range capability, etc. Use with fresh water, sea water, additive, etc.